It’s grilling time, so start it off big with my Grilled Pork Chops with Mayan Spiced Mango Marinade. These flavors will bring the Mayan Riviera right to your own backyard. Well… as close as you can get, anyway. I love the spices of the Yucatan—the fruit, the Achiote, the Allspice—and wanted to see if I could put them together on the grill. I marinated pork chops in a spiced mango mixture and served them with an Achiote Mango Puree to really magnify the Mayan flavors. 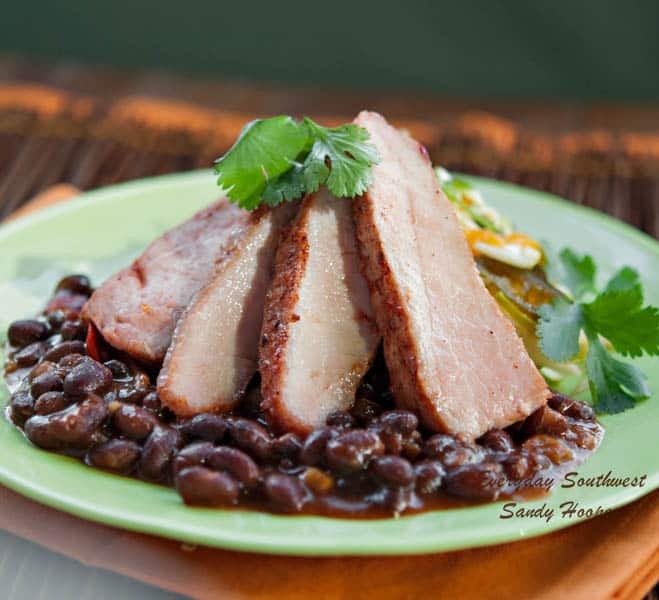 Throw in some of Bush’s Black Bean Fiesta Grillin’ Beans and you’ll come out with a pretty delicious meal. Traditionally, the Yucatan region is known for its great pork dishes that are slow roasted in a pit lined with banana leaves. For some reason, my family doesn’t want me to dig up the backyard to roast suckling pigs (sometimes, I don’t think I know them at all). So, I had to get clever and figure out a way to jam pack all those tropical flavors into a quick fired pork recipe for the grill. It was trickier than I thought. The slow roasted pork is usually marinated in sour orange juice. That’s difficult to find north of the border. And, while I have substituted a combination of regular oranges and limes together before, I don’t think it gives quite the flavor and tartness I was looking for in this quick dish. This time, I substituted mangos for the sour orange. It was delicious! Tangy, fruity and all of the tropical flavors I was hoping for. And, since the pork chops are grilled and not slow roasted, the mangos really added great flavor without the long marinating and roasting time. This dish is a great one for grilling on the weekends. Just put the chops in the marinade and the mango puree in the fridge and then go and enjoy the fun. The chops cook quickly so you won’t have long to stand over the grill. I served them with Bush’s Grillin’ Beans that you just heat and serve along with a quick cabbage, fennel and mango slaw. To save more time, I make the Mayan Spiced Mango Marinade and the Achiote Mango Puree at the same time (different bowls). That way, the chopping and clean up are cut in half. You can even make them a day or two in advance and keep them in the fridge. Oh, P.S. You are going to see an Habanero chile or two in the recipes. Don’t be scared. Habaneros are known for their heat, but they also have the best, fruitiest flavor of all the chiles. I am a wimp when it comes to heat so, I would never lie to you. I think they added just the right amount of kick to go with the sweet mangos. Try half of an Habanero if you are’t sure. You may surprise yourself and throw the whole thing in. Just a “heads up,” I noticed more heat in the puree than in the marinade so, add half of the chile and then let it sit in the fridge for a while. Taste it again and add more chile if you’d like. Don’t forget to take the seeds out! The “ribs” have some heat, too. And… wash your hands after playing with Habaneros… especially if you wear contacts! No, they are not radio active but, a little pre-caution never hurt. Sound like lot of trouble just for a chile? Usually, I say, “any o’ chile will do.” But, in this case, the Habanero is perfect and adds to that tropical flavor. Note: This is the first recipe of mine on the blog that calls for an Habanero chile. And yes, I definitely think it is worth giving it a try… think baby steps. Also, the longer you marinade the pork, the stronger and better the flavor will be. I suggest 4 to 6 hours, I don’t think I would go over 8 at the most. You don’t want it to turn into a brine and change that “pork-y” flavor. These Grilled Pork Chops with Spiced Mango Marinade have all of the flavors of the Yucatan. Serve them with Achiote Mango Puree and Mango Slaw. Peel and dice mangos then place in the bowl of a food processor or blender. Get every last drop of juice out of lime and add it to the mango along with the Habanero. Process until well pureed and almost a juice. Add garlic, Achiote paste, Mexican oregano, Allspice berries, cumin seeds, black pepper, salt, sugar, vinegar and water. Process until blended. Pour marinade into a large bowl or glass baking dish. Submerge the pork chops in the marinade but, leave the bones above the surface. Marinate 4 to 6 hours. Turn the chops occasionally. Meanwhile, prepare the Spiced Mango Puree. Remove the chops from the marinade and bring to room temperature, about 45 minutes. Cover the bones with tin foil. Prepare a gas or charcoal grill to medium heat. Place the chops on the grill and spoon a little of the marinade on top of the chops. Discard the rest of the marinade. Cook the chops for 7 to 8 on the first side. Turn the chops and watch the temperature carefully, they may not need to cook quite as long on the second side. The chops can be slightly pink in the center or cooked all the way through but still juicy. 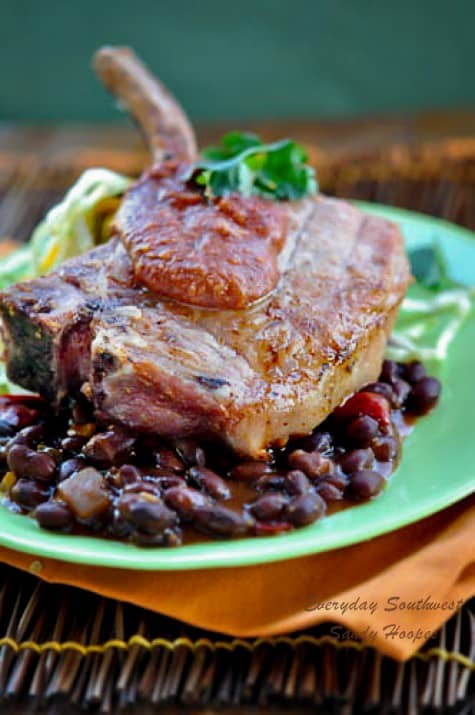 It is recommended to remove the chops from the grill at 160 degrees and allow them to rest. They will continue to cook for a few minutes after they are removed from the grill. Be careful not to dry them out. Serve with Spicy Mango Puree. Peel mango and place in a blender or food processor with lime juice and Habanero, puree until smooth but, still has texture. Add garlic, Allspice, Achiote paste, black pepper, cumin, Mexican oregano, salt and vinegar. Process until well mixed. Cover and chill in the refrigerator until ready to serve the chops then remove and allow to come to room temperature, about 45 minutes. I like to save time and clean up by preparing the Spiced Mango Marinade at the same time I prepare the Achiote Mango Puree. You can peel and puree the mango and habaneros together and then divide into separate bowls. Add the spices to the two recipes as called for. I find it much faster to measure everything into the separate bowls than starting completely over for the puree. 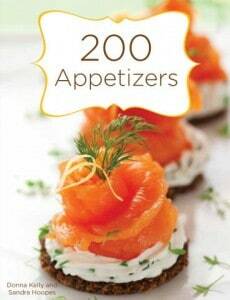 I’ve added this recipe to my foodie friend Dara’s Grillin’ Linkup over at the Cookin’ Canuck. There are lots of great grilled recipes for steaks, chops, and chicken. Head on over and check them out. I can’t wait to hear what you think of this Grilled Pork Chops recipe and the Mayan Spiced Mango Marinade and puree. Give them a try and let me know. If you try one of the recipes from the grilled recipe “linkup” at Cookin Canuck or Hoosier Homemade, let me know about that, as well. We love hearing from you so tell us… how did you like the Habanero? is this your first Habanero? Leave us a comment or an email. You can follow me on twitter and be sure to subscribe for future recipes delivered right to your email inbox.